The flag of Esenler (photo, photo) is white with the municipality's emblem. "Belediyesi" means "Municipality". The municipality uses vertical flags (photos, photo, photo, photo), white, blue or orange with the municipality's emblem. The former flag of Esenler was white with the former municipality's emblem. 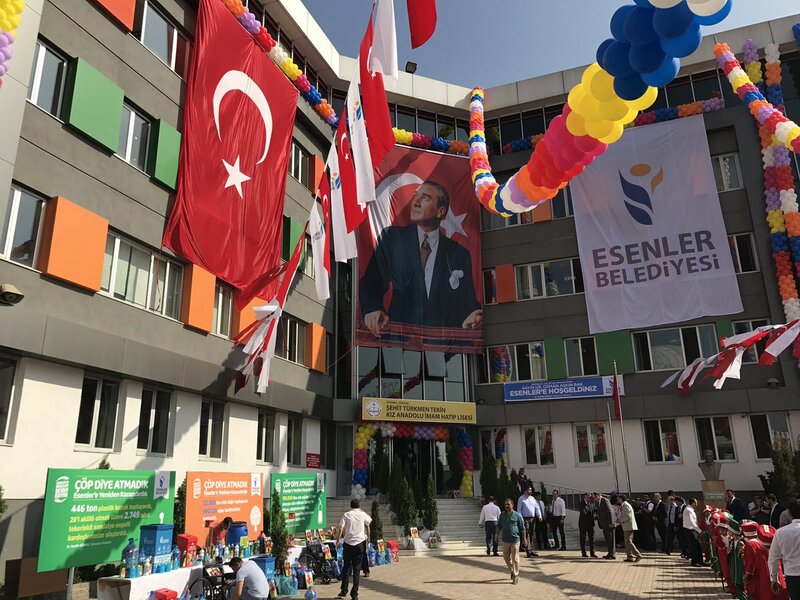 "BELEDİYESİ" means "Municipality". 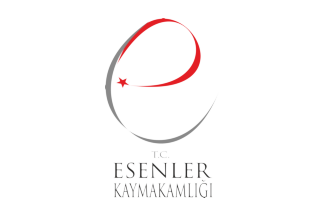 The flag of the Esenler district government (photo) is white with the government's emblem. "Kaymakamlığı" means "District government".